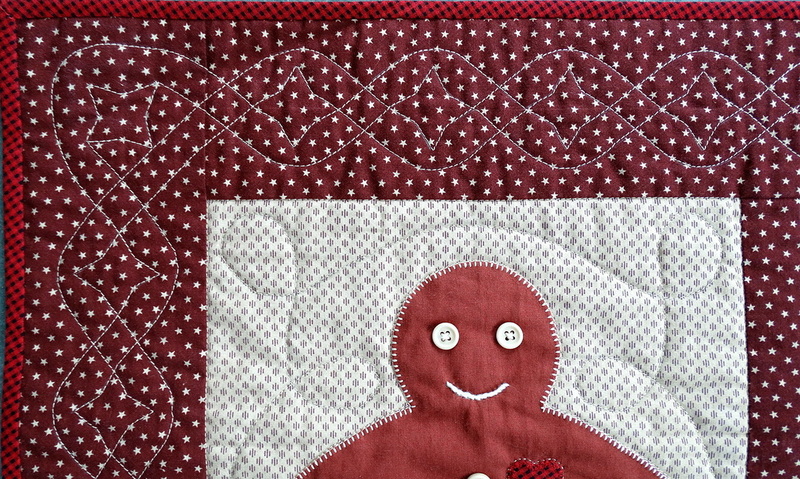 I love quilts with borders. 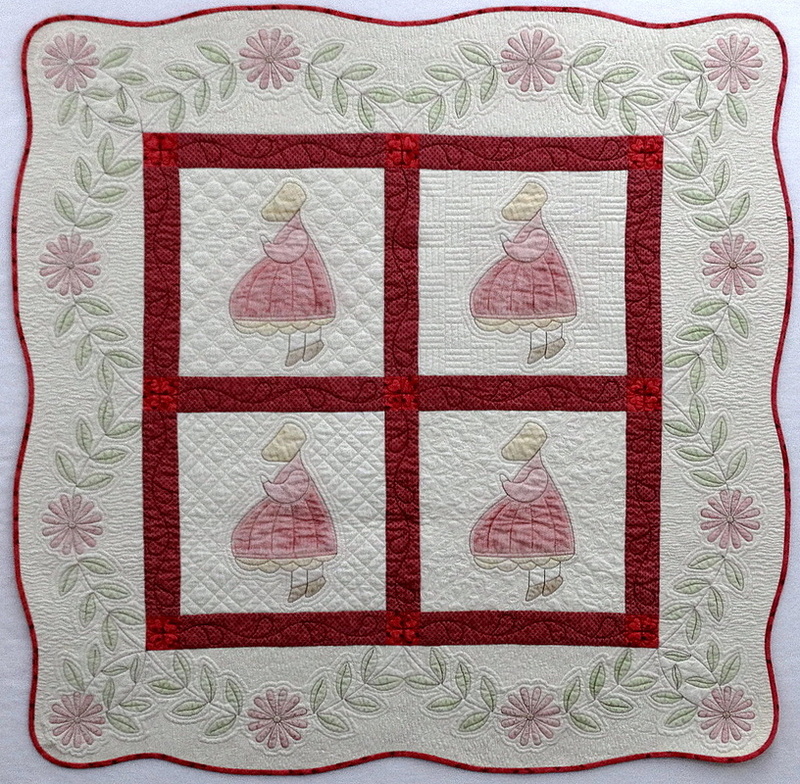 For me, borders add a frame to wall quilts and add the perfect finishing touch to traditional bed quilts. 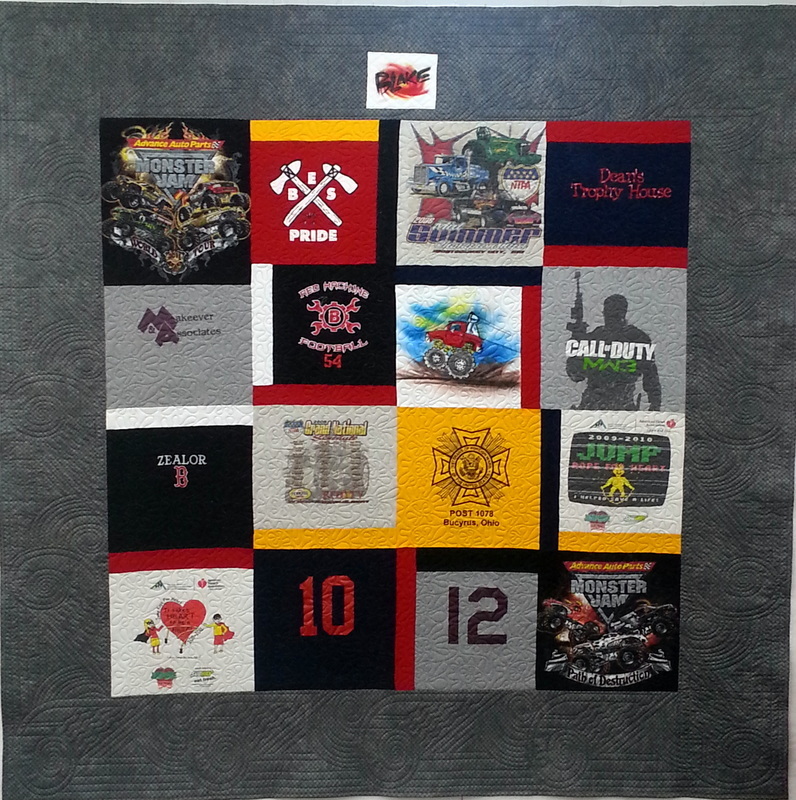 On this page, you will find a variety of styles and sizes to fit almost any need. 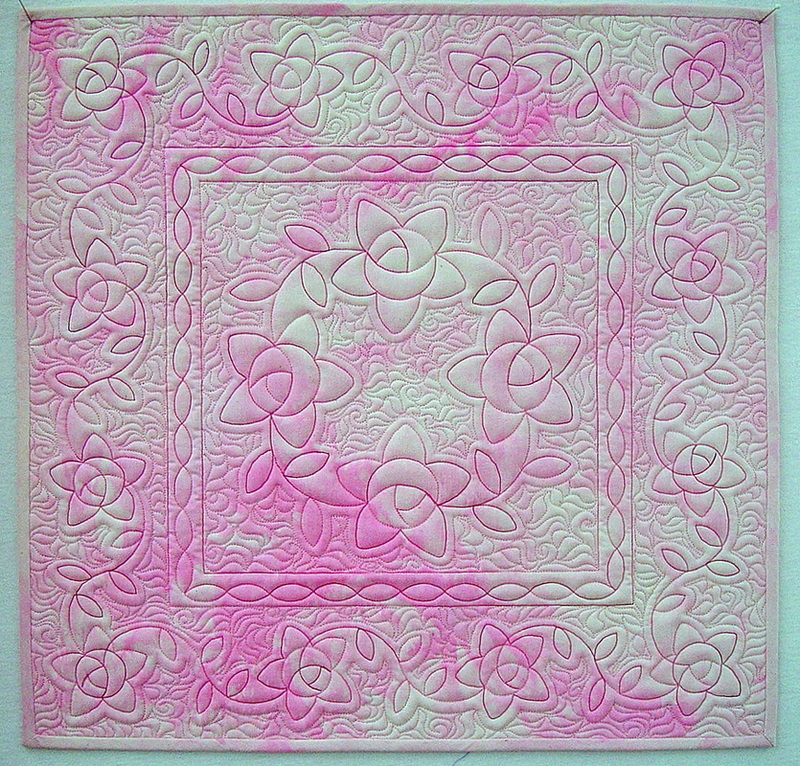 Take some time to look through all of the choices and see what will complement the style of quilt you are ready to quilt. 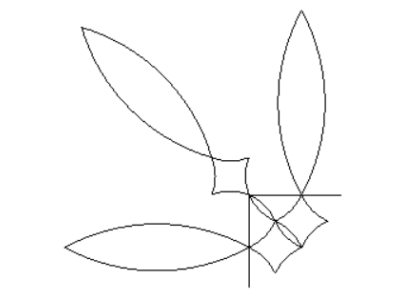 Most have separate corner patterns. Others can be used in a butted, or log cabin style set up. 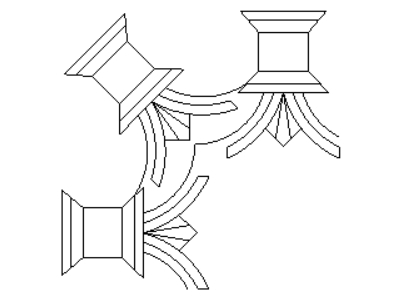 There are also instructions on some for mitering or cropping the pattern so that it will turn the corner smoothly. Link to the Store is at the bottom of the page. 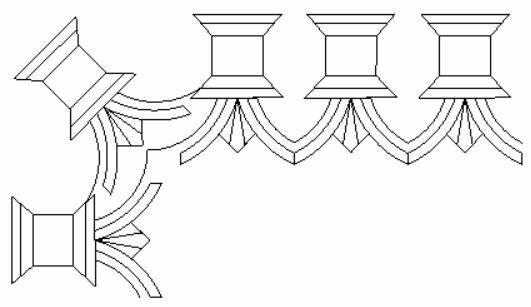 Please note: This corner pattern has a no-sew line from the corner to help position it correctly. 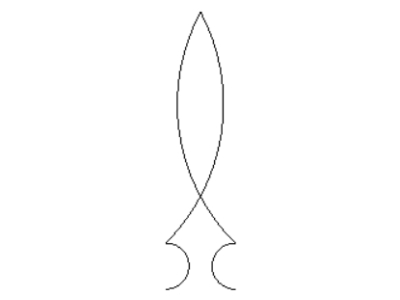 It also does not connect to the border pattern to stitch continuously. 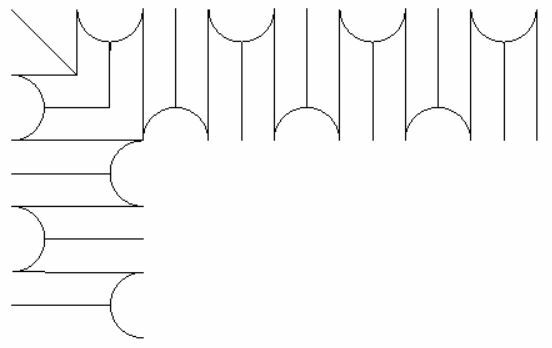 Set the corner patterns first, then add border patterns to fit and fill the length of the border. 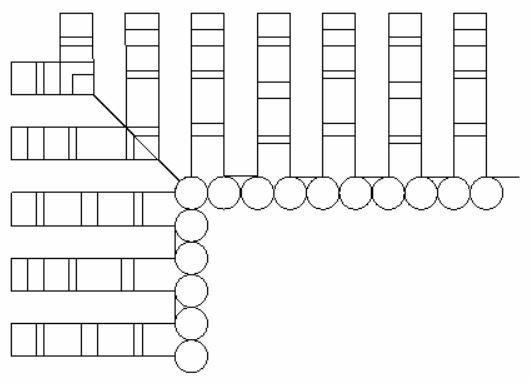 The left side border pattern is shown to demo placement, but it will be too long to stitch between the bars. 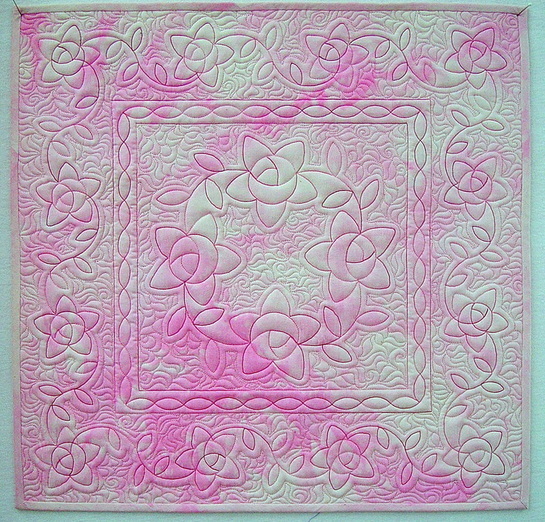 You will need to turn the quilt to quilt the two side borders. 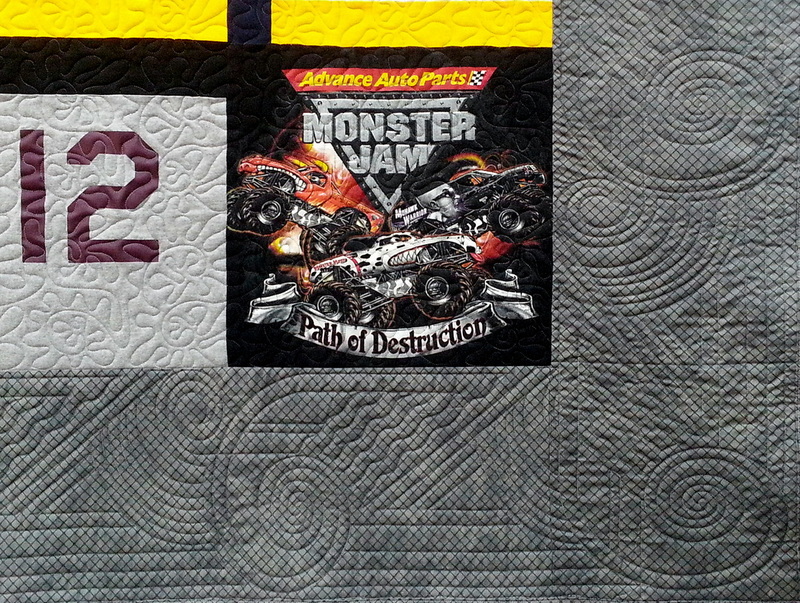 I thought this border worked especially well with the monster truck motifs in this quilt. 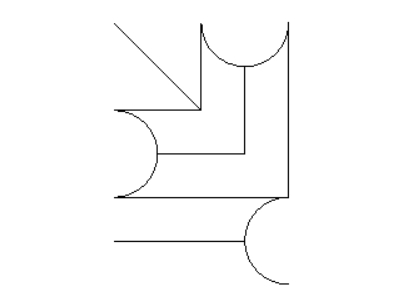 Please note: This corner pattern does not connect to the border pattern to stitch continuously. 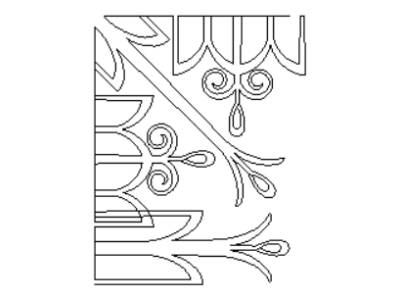 ​Set the corner patterns first, then add border patterns to fit and fill the length of the border. 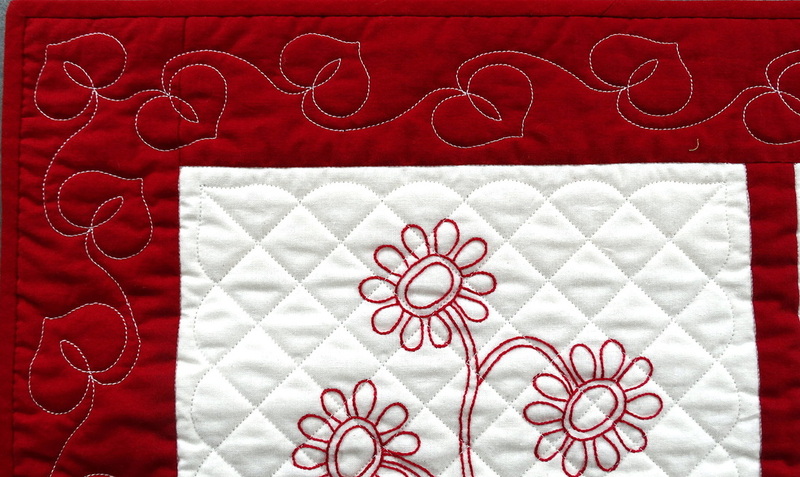 Set the sew order to stitch all of the patterns continuously. The next four borders can be used in wide borders. 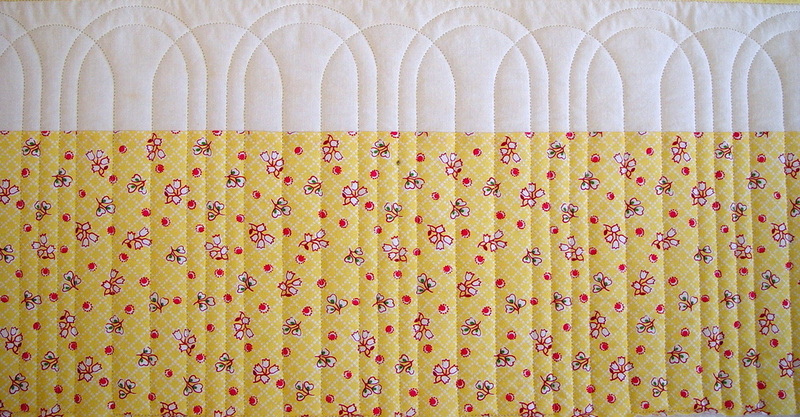 Or, use Apply to position the P2P patterns along the seam line between a narrow border and a wide outer border at the same time. 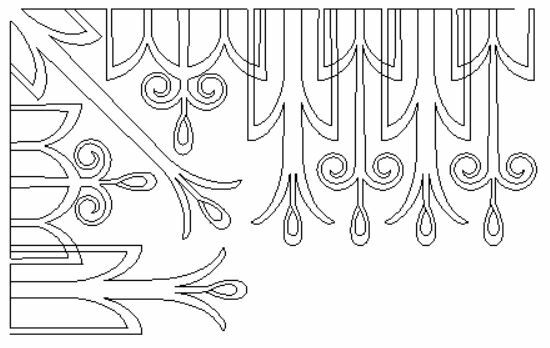 Size the small motif to fit the inner border. 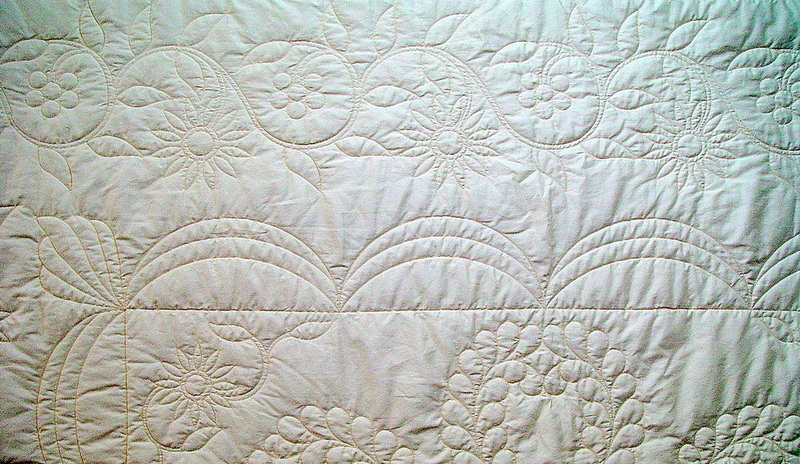 Larger motif can be cropped along the binding edge to fit the quilt. 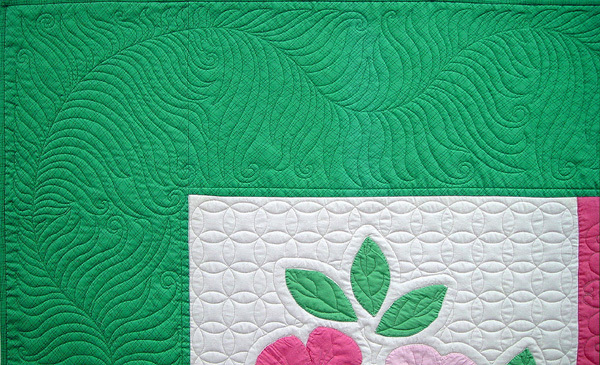 Double Border with Diamonds Default size 9" H With Diamond 2", Leaf is 10"
Olive and Leaf Border and Corner Default size 12" H Olive 2", Leaf 10"
Ripples and Curl Swag Default size 12" H Swag 2", Ripples 10"
look beautiful with a Fill Border pattern behind them. 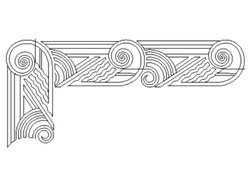 Rope Swag Border with Fill Border Triple Line Diagonal behind it. 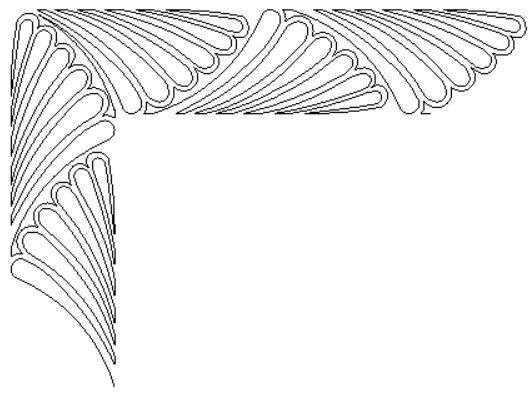 Here are some Border Patterns that hug the seam line. 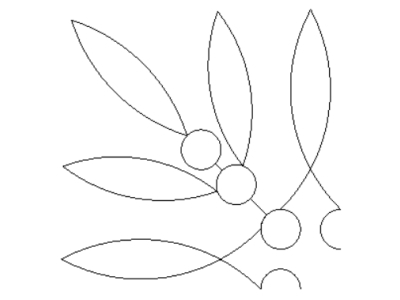 Choose any Fill Border pattern to fill the background space. 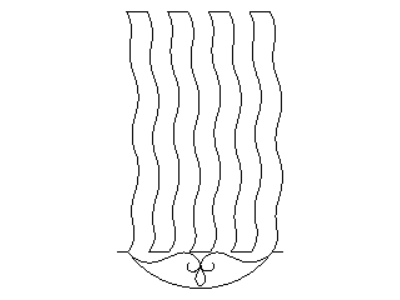 Fill Border Dew Drops Curved behind it. 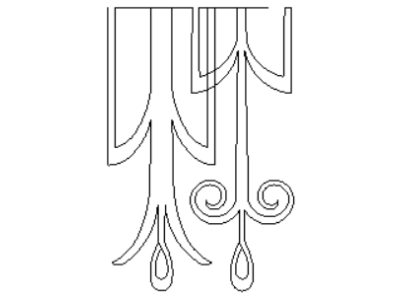 Fill Border Mirrored 2 behind it. 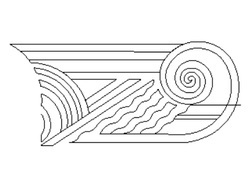 Fill Border Modern Lines behind it. 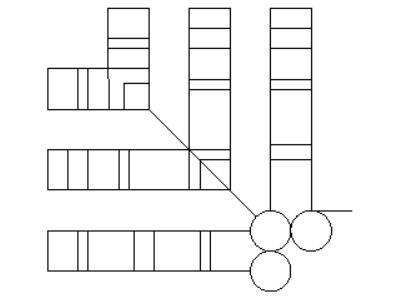 space can use a Fill Border pattern above and below. it will not endsnap to both borders. and CS will continue to stitch. 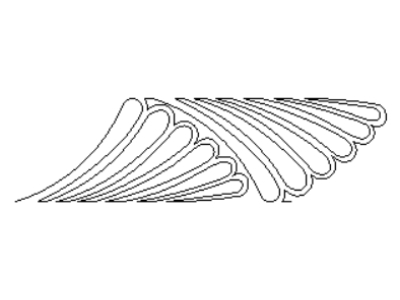 Example of the Feather Quill Border with Fill Border Diamonds behind it. 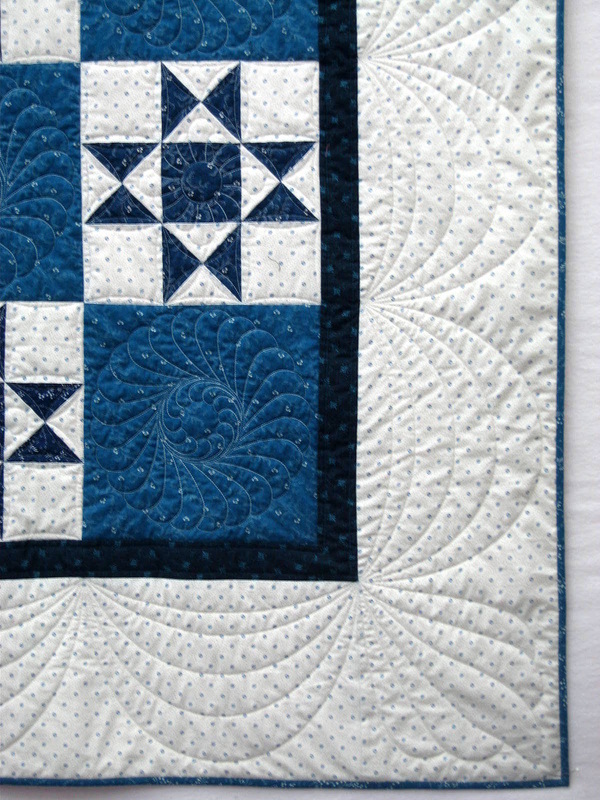 Note: because of the stitching path of this corner pattern, it will not endsnap to both borders. 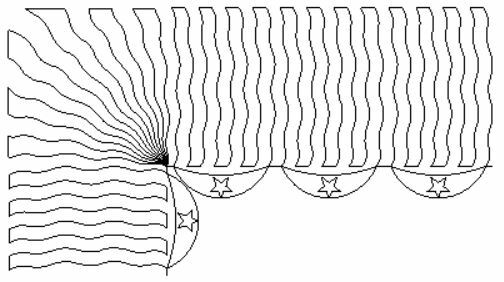 Simply position the patterns close together and CS will continue to stitch. 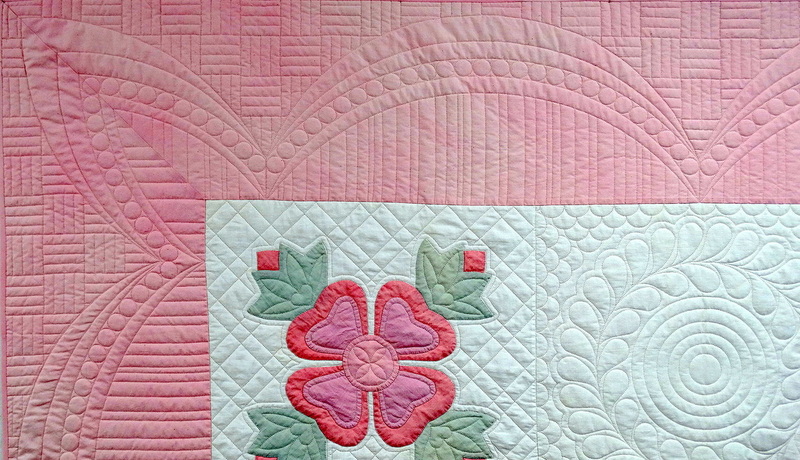 Example of the Diamond and Flower Borderwith Fill Border Modern Lines behind it. 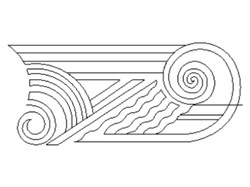 These Border patterns are designed to fit the full height of a border. 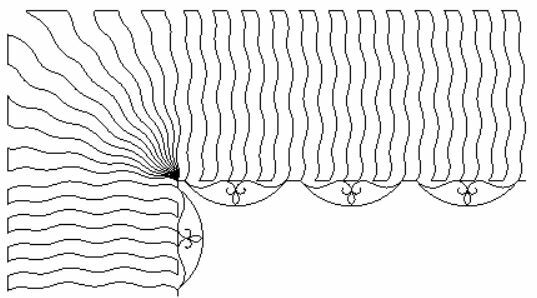 Here's a Modern take on the Baptist Fan pattern. Crop the beginning and end of the borders,as you like, to fit the corners. 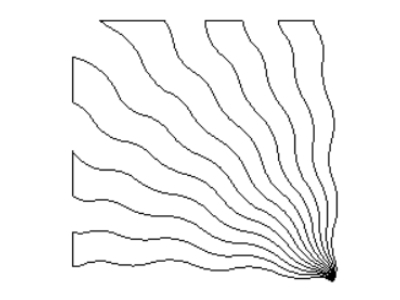 Note: because of the complexity of this corner pattern, it will endsnap to only one border. 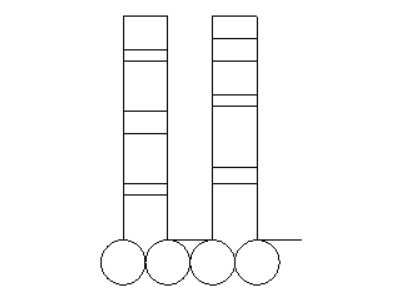 Simply position the patterns close together and CS will continue to stitch. Geese with Joyce Lundrigan's HST in the backgrounds. 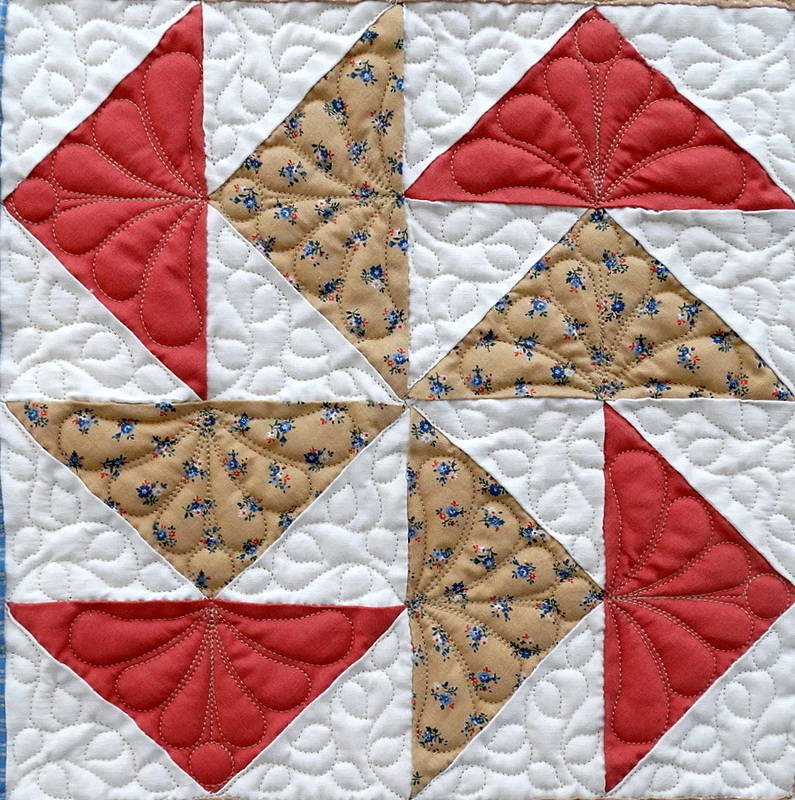 Joyce Lundrigan's P2P Half Square Triangle patterns. 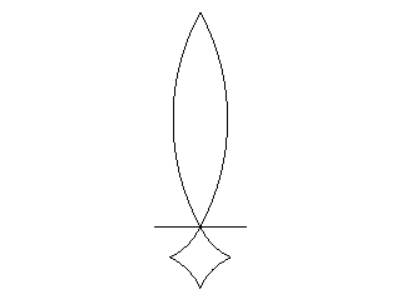 Note: pattern is asymmetrical. 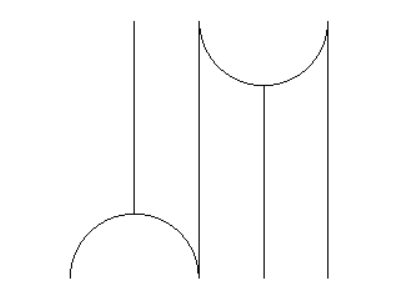 To make the beginning and the end of the border repeats the same, use Divide to remove the single hoop on the end. 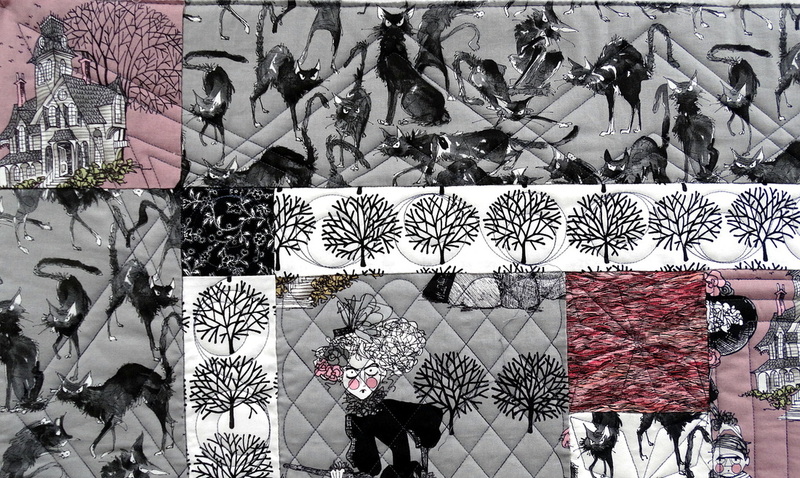 Travel stitches run in the border seam or the binding edge. 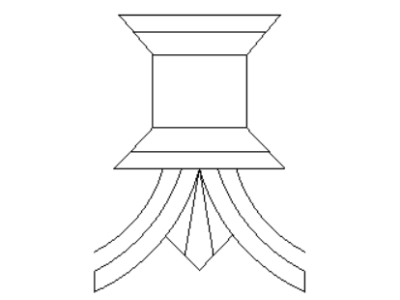 Divide to remove single hoop. Double hoop on both ends. 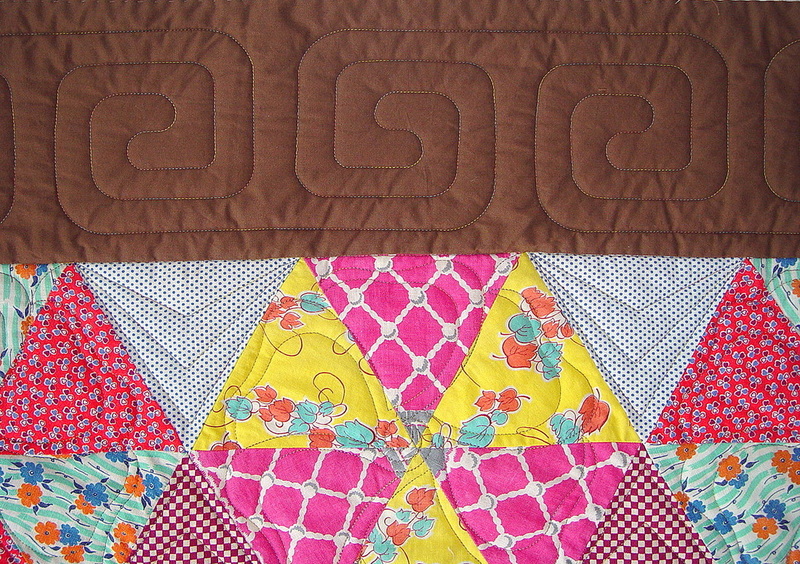 blocks and a wide outer border. No more worries about downloading patterns! 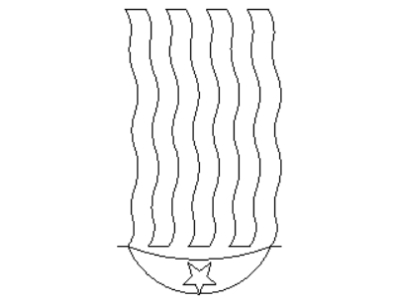 email with your files embedded in the message. 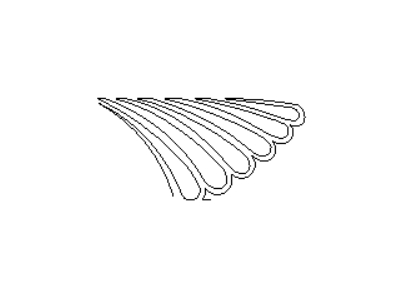 The zipped file will include both QLI and DXF formats. Click on the file name and save to the desired location.